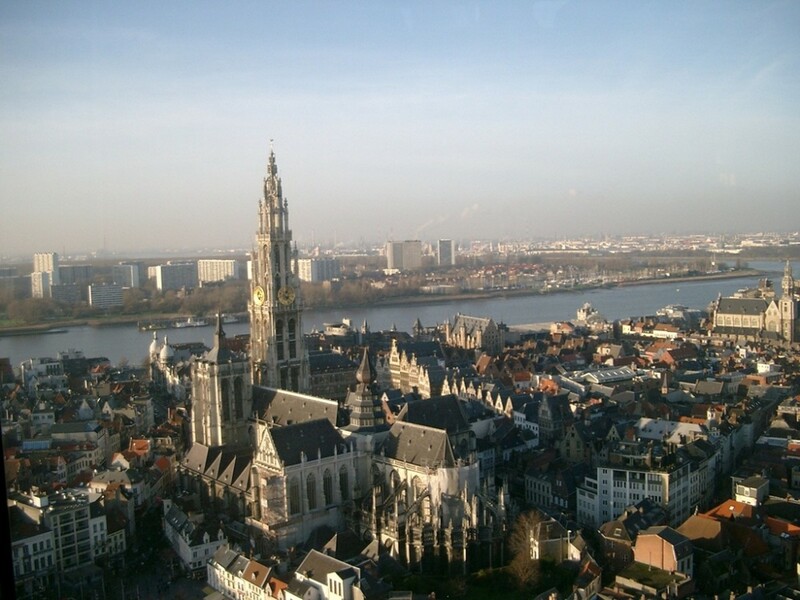 St. Paul’s Church is a sixteenth-century Gothic church located alongside the Scheldt River, right in Antwerps’ old city center. 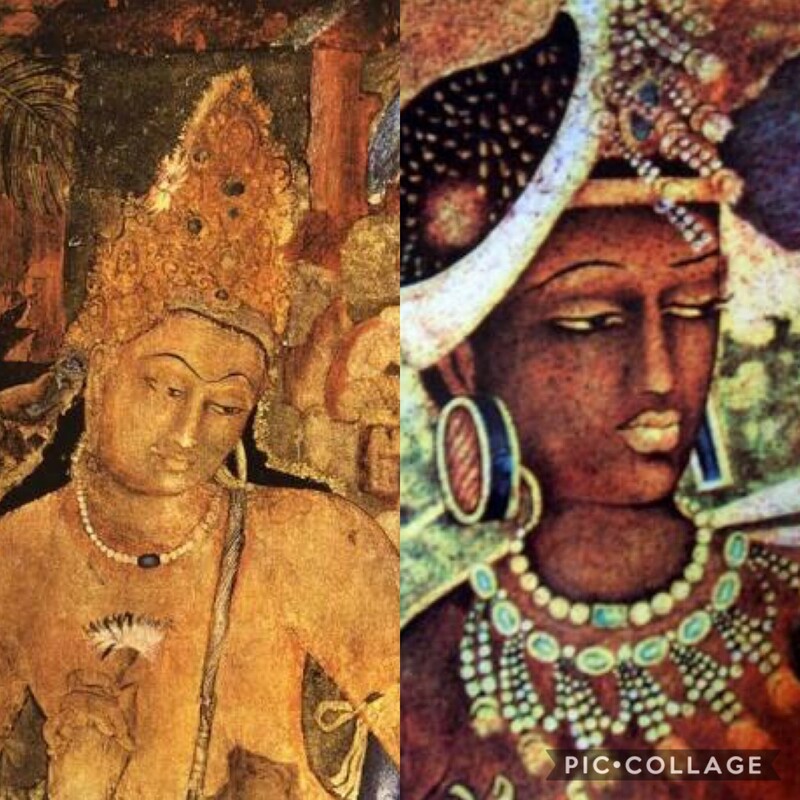 It’s remarkable not only for its architecture, but for its eventful history and impressive collection of paintings and sculptures. The site of St. Paul’s has been the home of a church since the thirteenth century. In 1276, the famous saint and theologian Albertus Magnus founded a small church as part of the Dominican Order. The church was named after St. Paul, who is the patron saint of the Dominican order. The site went through a number of rebuilding efforts between 1276 and the building seen today. 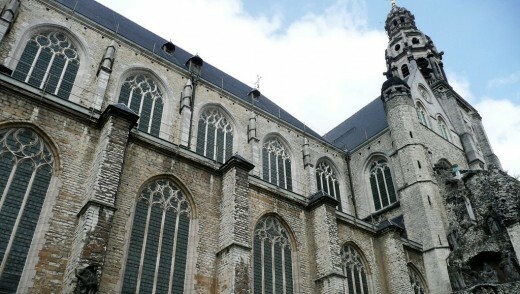 Because the original church was too close to the Scheldt River and subject to flooding, the Dominicans built a new church in the sixteenth century. They didn’t have much time to enjoy it, however. 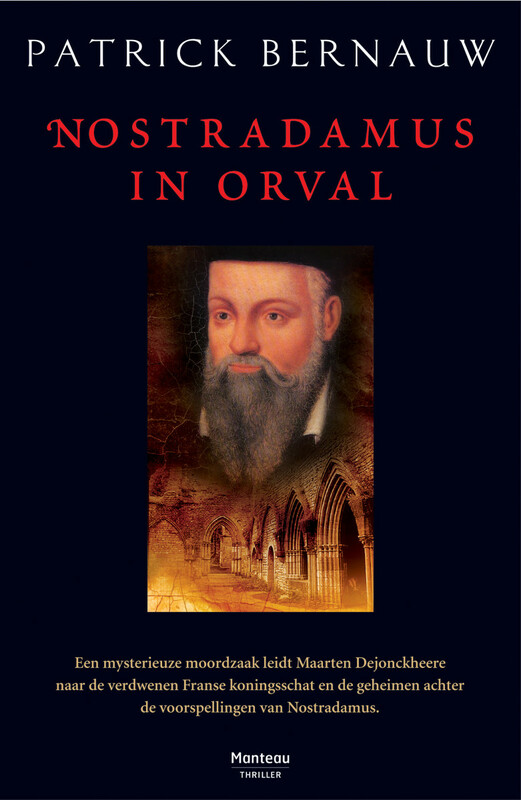 In 1578, Calvinists took over religious authority in Antwerp and expelled the Dominican order. The Calvinists were in turn expelled in 1585, and the Dominicans returned. Between 1605 and 1662, they completed a major rebuilding project, including a new choir, transept, furniture, and decorations. Since then, the church has withstood a number of fires, the dissolution of Dutch Dominican monasteries, and a local revolution. St. Paul’s is well-known for its Baroque steeple, added to the church in 1681. The rest of the church exterior, however, is decorated in a Gothic style, featuring the classic Gothic pointed windows and simple decoration. Inside the church, there are a number of smaller chapels dedicated to Jesus and Mary, and completed by decorative sculpture. For those visiting Antwerps, one of the most popular sites is “the Calvary,” a group of statues located within St. Paul’s grounds. The statue garden was planned in 1697 and completed in 1734. The group of sixty three statues is meant to evoke Jerusalem, and in particular Christ’s suffering, death, and resurrection. The Dominican brothers who planned it envisioned the statues as an alternative pilgrimage site for those who could not travel all the way to Jerusalem. 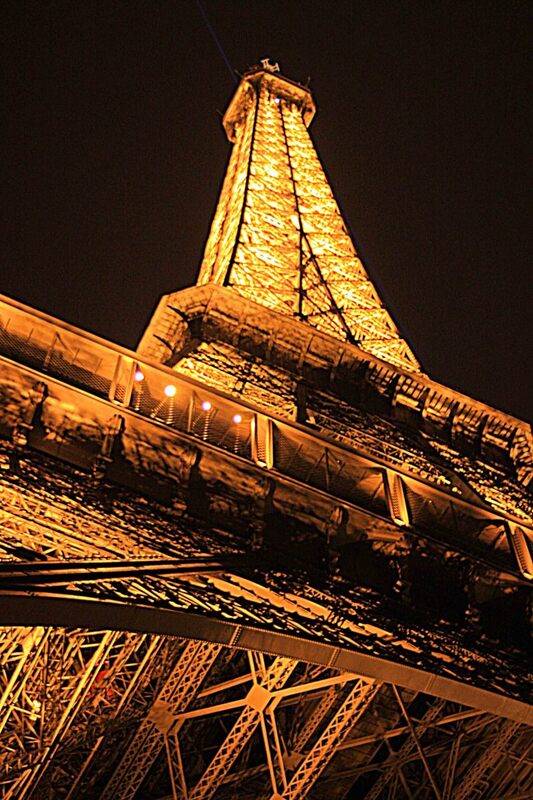 Today, whether by pilgrims or tourists, it remains an incredibly popular site to visit. In addition to the Cavalry, St. Paul’s is famous for its collection of paintings by Flemish masters. There are about fifty paintings by Rubens, Van Dyck, and Jordaens, among others. Many of these paintings were stolen during the French revolution but were luckily returned in the nineteenth century. In addition to paintings, visitors can look at collections of wooden and marble sculptures. Some of the most impressive of these are around the church’s ten confessionals, featuring a pair of statues of saints for each one. For art lovers, therefore, there is a lot at St. Paul’s to take in. 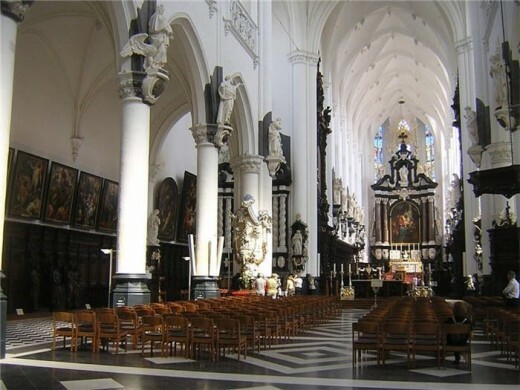 If you are planning a trip to Antwerp, you can visit St. Paul’s, but you should be aware that the church has limited hours. Every weekend, they are open from 2:00 to 5:00 in the afternoons, but the Calvary garden is only open until 4:00. If you happen to be in Antwerp over the Christmas season, St. Paul’s is open during that same window every day, and they also have an ornate Nativity scene. It’s more than worth a visit, and make sure to leave yourself time to enjoy all of the artwork, including the Cavalry in the courtyard.